Child safety alarms can let you know right away if your child has wandered away from you, fell in the family pool or even if there is a child around your car when you are backing up. Read on to learn more about these breakthroughs in technology that can keep your children safe from harm. Child safety alarms take many forms, from GPS-style locators to ones that can be attached to your car. Prices on these alarms can vary greatly, depending on how recent the technology and the quality of the manufactured product. There is nothing like the panic a parent feels when a child is around one minute, then mysteriously disappears the next. If you are in a crowded place, such as an amusement park, a fair or even the local mall, child locator alarms can help you find a child in seconds, instead of heart-pounding minutes. A child safety alarm uses the "Mommy I'm Here" technology. The parent attaches the locator to the child's shoe or sandal, then the parent has the transmitter close at hand at all times attached to the outside of a purse on a key chain. When a child is noticed to be missing, the parent presses on the transmitter and the receiver on the child emits a loud beeping or chirping sound. This will allow you to find a missing child and alert other adults that the child may be in a dangerous situation. Most locators will work up to 150 feet away from the transmitter. Prices range from $20 to $200. A car safety alarm will alert you when a child is too close to your car. 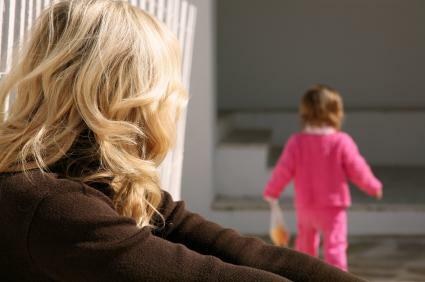 This is especially helpful if you frequently pick children up in front of a school or daycare center, and will help you detect your own children in front of your home. Every year children are inadvertently run over by cars and school buses. Vehicle alarms can help prevent these accidents. There are also car alarms that will let you know if you have forgotten a child in your car, which is especially important for those that live in warm climates. These types of devices can be found online and in many auto parts retail stores. Baby Alert Child Minder System alerts you if a child is left in the car. ICBus alerts child transportation drivers if a child is too close to the outside of the vehicle. With so many ways to protect your children, why not invest in a child safety alarm? The prices on the various models are well worth the peace of mind you'll have knowing that the children around you are safe.